Photo by Charles Wagner, via flickr. “We have a traffic crash problem in the City of Bend, to put it bluntly,” Police Chief Jeff Sale said at the September 18 City Council meeting. Between 2006 and 2010, 24 people died in 22 car crashes in Bend, according to a recent traffic safety study conducted by the City of Bend Transportation Division. Most of the crashes were caused by drivers under the influence of alcohol or drugs, speed, or inattention. One death every other month may not seem like a dramatic figure—until you compare it to other Oregon cities of similar size. According to the study, during that four-year period, Corvallis only had two fatal traffic accidents. Medford, which is closer in size to Bend, had 12—just over half the number in Bend. While the study didn’t address the reason for Bend’s relatively high rate of traffic deaths, Chief Sale offered a number of potential solutions. Central among them was a request for additional staff to support targeted enforcement efforts. The department recently tested these efforts in accident-prone hotspots around the city, including the intersections of Third Street with Greenwood Avenue, Wilson Street, and Reed Market Road, as well as Hwy 20 and 27th Street. Chief Sale said that the intervention were effective and have the potential to reduce crashes by 50 percent over time. That’s why he’s asking the City Council to consider adding for the 2014-2015 fiscal year, two additional patrol officers, one corporal, one administrative assistant, and one court clerk (along with the necessary equipment for staff to do their jobs). Chief Sale also highlighted ongoing traffic safety efforts, including a bicycle diversion program, traffic school, high school drivers’ education, speed display signs, a DUII victims impact panel, and grants targeting speed, seatbelt use, and pedestrian safety. “Our hope here is to change behavior in the long run,” Sale said, adding that efforts would focus on DUIIs, which correspond with the greatest number of fatalities. DUII-related accidents appeared to spike in 2011, according to Sale’s presentation to Council, with 45 crashes resulting in 21 injuries and 3 deaths. It was the highest number of accidents from 2007-2011 and followed an otherwise downward trend. 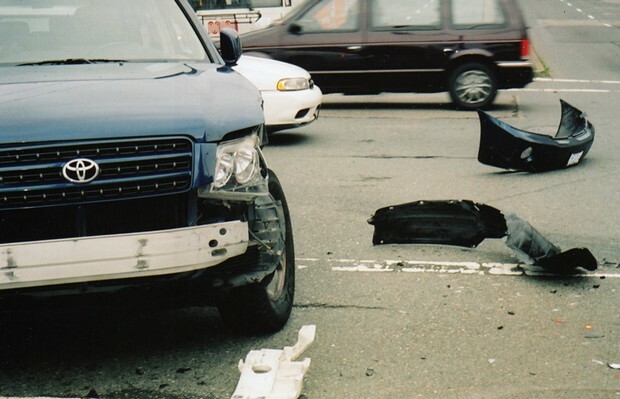 By contrast, there were only 18 DUII-related crashes in 2010 and no fatalities. Statewide statistics confirm this correlation. According to the Oregon Department of Transportation’s 2011 Traffic Crash Summary (the most recent available), drunk driving was the primary cause of fatalities (27.2 percent), followed closely by speeding (26.8). “I don’t want to see our police on commission,” Ron Buzell told the Council. “Please don’t consider what was proposed earlier.” Sally Lybarger, a county resident who spends a lot of time at the library downtown, has expressed repeated concerns at Council meetings about drivers speeding through school zones.